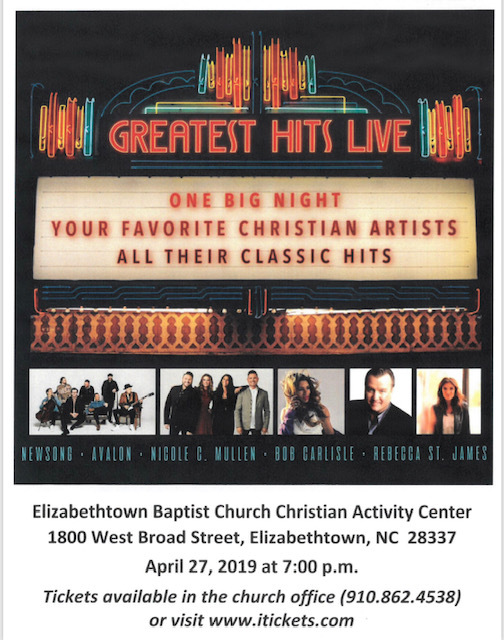 Elizabethtown Baptist Church excited to be hosting the Greatest Hits Live Tour on April 27, 2019 at 7 p.m. in our Christian Activity Center. We have tickets for sale in the church office for the following prices: General admission for one is $24.99; a group of 10 or more is $17.99 each; a family 4 pack is $80. There are Premium VIP and VIP tickets available for this concert but they will need to be purchased through www.itickets.com. 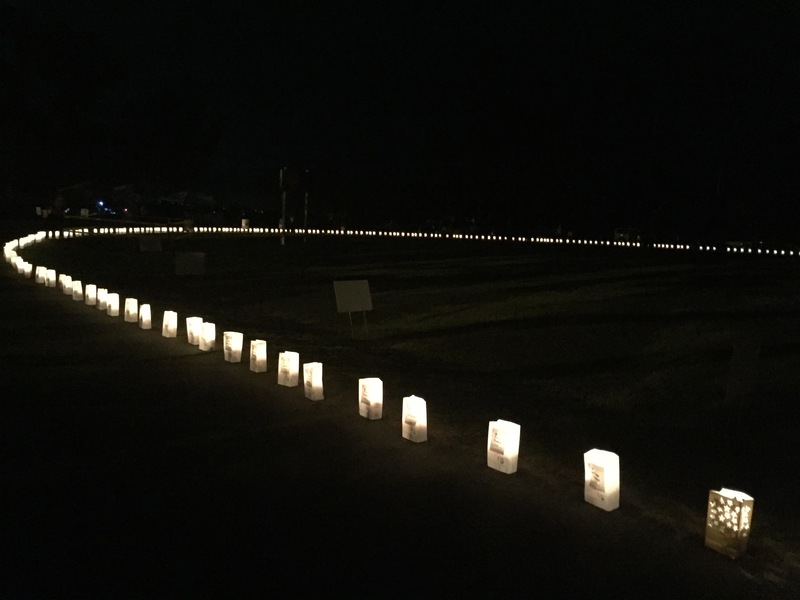 We feel this will be an exciting night of worship for all attending and a great opportunity for our community and beyond to see these wonderful artists (NewSong, Avalon, Nicole C. Mullen, Bob Carlisle and Rebecca St. James)!